I have fluoride toothpaste and fluoridated water; do I need a fluoride treatment? A solid oral health routine begins with daily brushing, flossing, and rinsing. Without a consistent oral health regimen, you may begin to experience tooth decay and bacterial infections. Few patients ask Dr. Jose Gonzalez Jr, DDS about different mouthwash options, so we’ve put together a list of the conditions that mouthwashes can treat. This should help you decide which oral rinse would be best for you. Fluoride is a great tool for preventive tooth decay treatment. It prevents tooth decay and is great for oral health in general because it kills germs that can live in your mouth. Fluoride also builds stronger teeth. If you’re a bottled water drinker, Dr. Jose Gonzalez Jr, DDS may recommend that you purchase a simple fluoride rinse to use after brushing. Fluoride mouthwash can be used to fight any bad breath issues you may be facing. It’s designed to combat any bacteria that might be building up in your mouth. 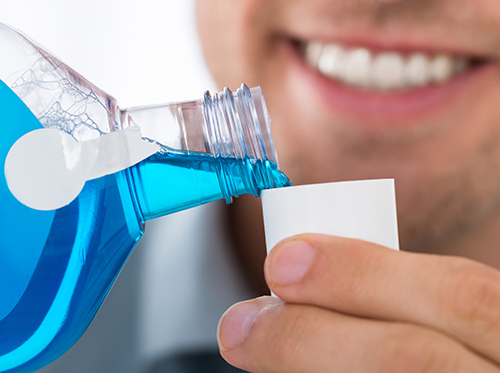 Most mouthwashes will help eliminate bad breath, but some are specifically designed to address this difficult problem. If you feel as though this might be turning into a chronic problem, please contact Dr. Jose Gonzalez Jr, DDS to discuss other options that would be effective for treating your symptoms. When you’re trying to decide which mouthwash to pick, contact our Laredo, TX or ask Dr. Jose Gonzalez Jr, DDS during your next appointment. If you experience a burning sensation in the soft tissues of your mouth, be sure to discontinue use immediately. Avoid letting children under age six use a mouth rinse, and be sure to keep all mouthwashes out of the reach of children, because they contain alcohol and other substances that could be harmful.